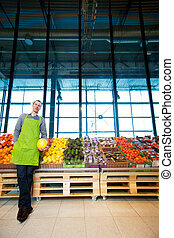 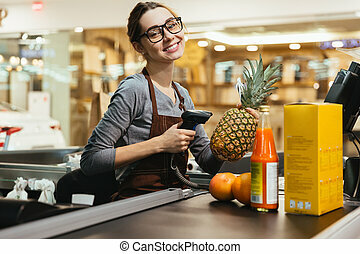 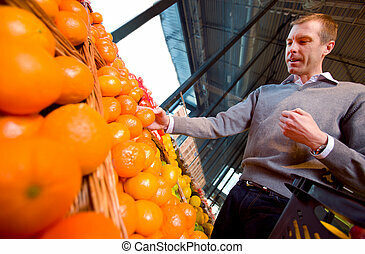 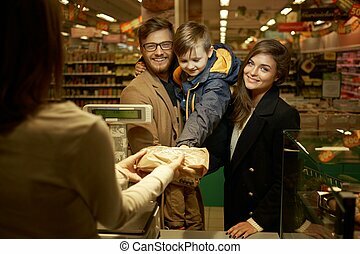 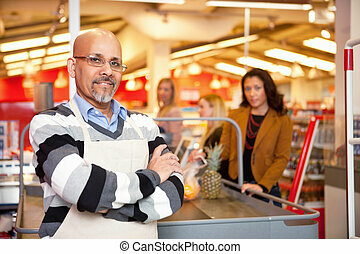 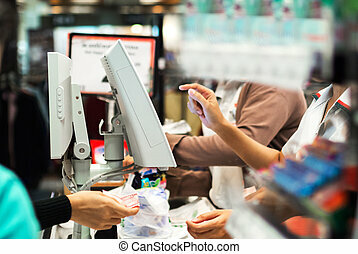 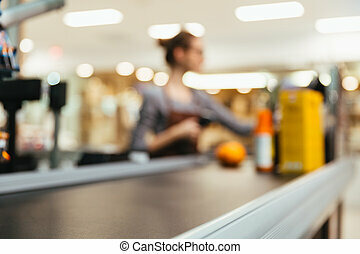 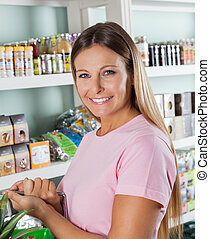 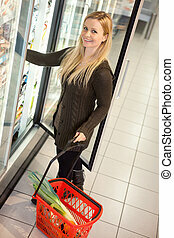 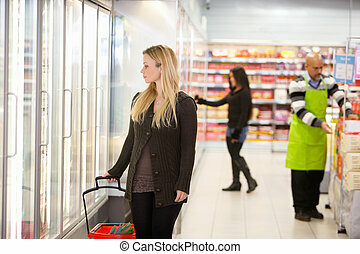 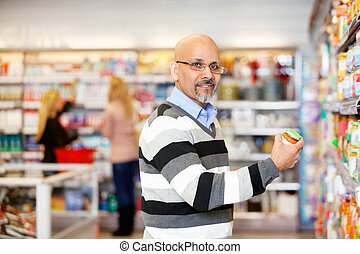 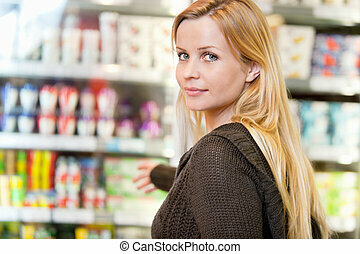 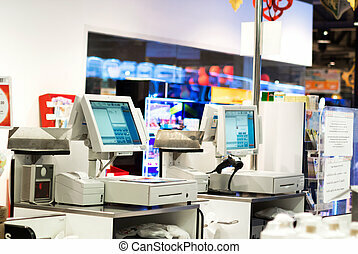 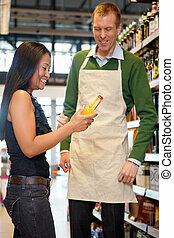 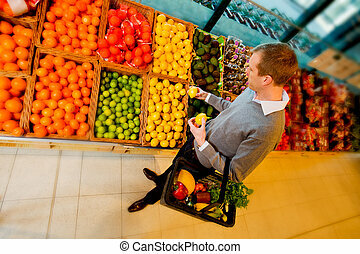 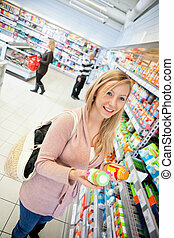 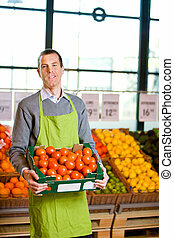 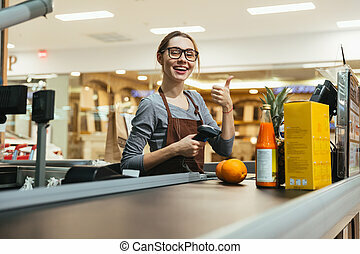 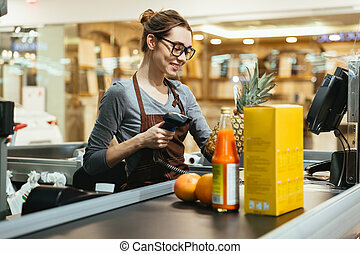 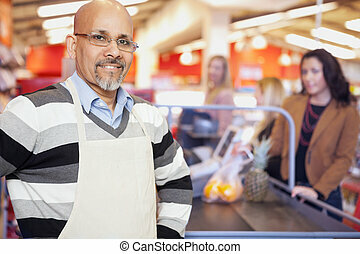 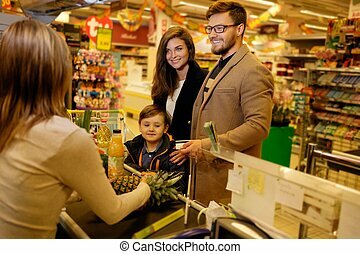 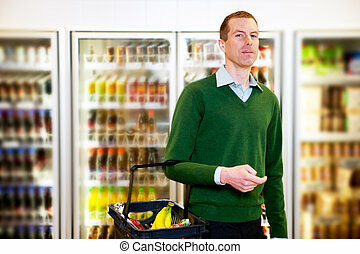 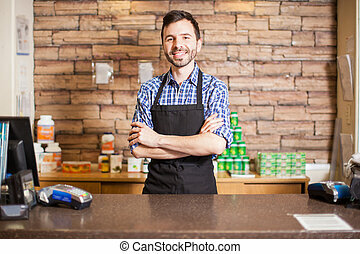 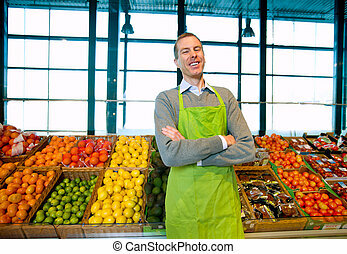 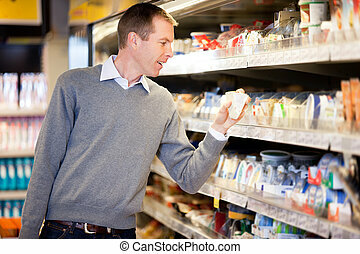 Grocery store cashier. 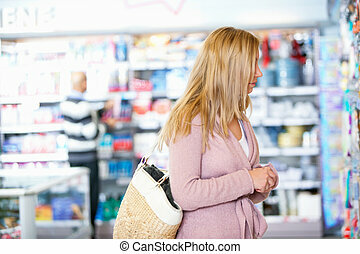 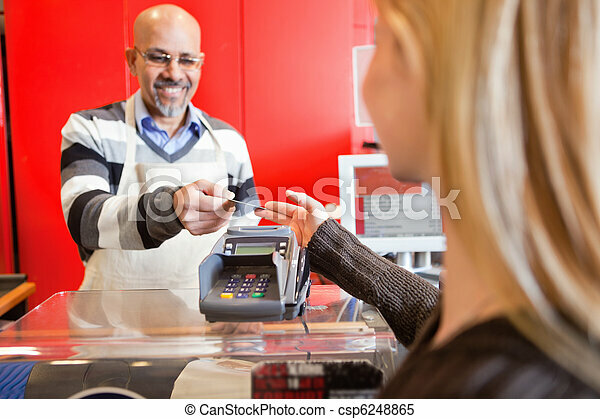 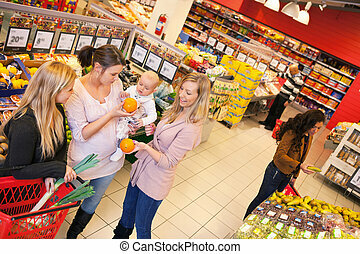 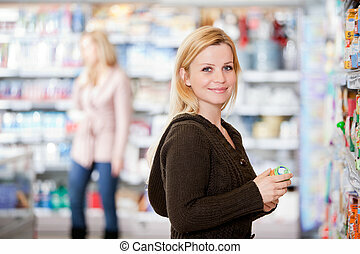 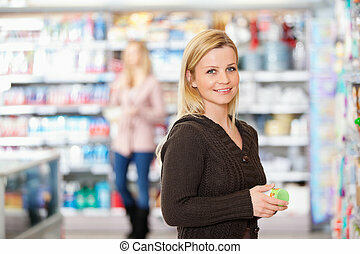 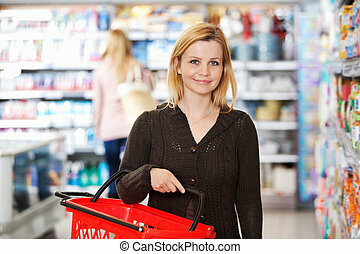 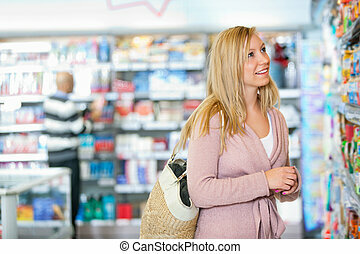 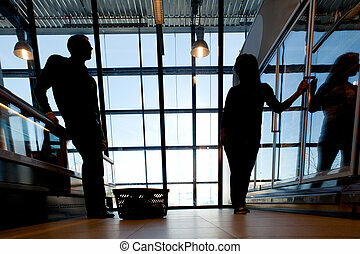 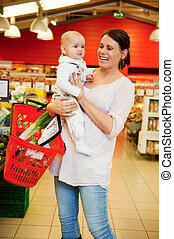 Woman passing over credit card to shop assistant after shopping. 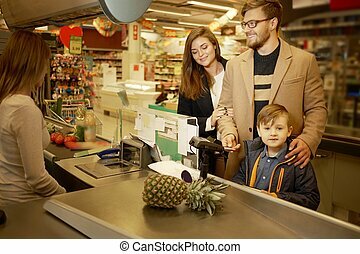 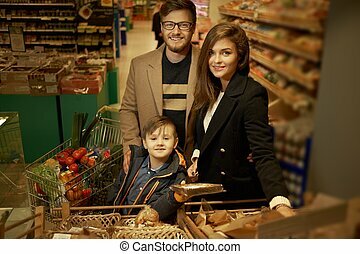 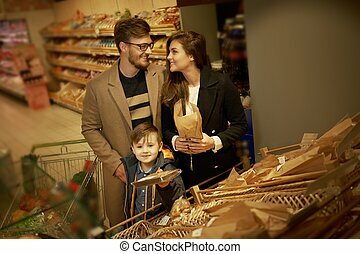 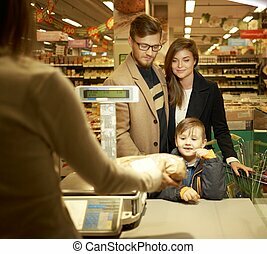 An Grocery store checkout in super market . 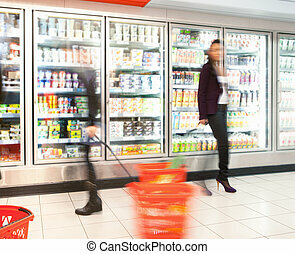 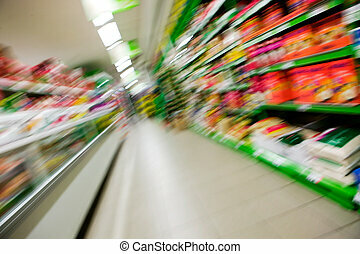 An abstract blur of a grocery store aisle.